At this stage of the campaign, we often hear similar claims repeated over and over in stump speeches. 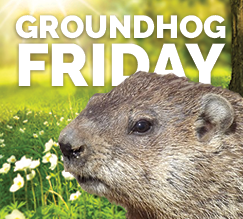 As part of our running feature on those repeats, “Groundhog Friday,” we note here some of the misleading talking points we heard this week. It is by no means an exhaustive list. Follow the links to our original stories for more on each claim. This Democratic talking point has been around since at least the Democratic National Convention in July, when we first wrote about it when it was used by Sens. Bob Casey and Kirsten Gillibrand. It has been repeated by others, including Vice President Joe Biden, since then. Trump did use the phase “wages too high” at a Nov. 10, 2015, GOP debate, as Clinton said. But Trump made his remark when he was asked about raising the federal minimum wage to $15. He said he was opposed to raising the minimum wage; he did not say that the overall wages are currently too high. As her running mate, Tim Kaine, has done, Clinton cherry-picks Trump’s words. The Republican nominee did say, in a January primary debate, “Our military is a disaster.” But he has made clear on numerous occasions that he’s referring to the funding of the military, not the men and women who serve in the armed forces. For instance, here’s Trump on Sept. 12 speaking at a National Guard Association Convention: “My plan calls for a major rebuilding of the entire military and the elimination of the defense — and we have to do this so quickly, it’s a disaster — of the defense sequester. It is a disaster. Have no choice, it is a disaster. It’s called depletion. We have been depleted as a military, we can’t let that happen. The greatest men and women on Earth, but we have been depleted by what’s taken place,” Trump said. It is true, as Trump said, that Clinton in the 2000 campaign promised 200,000 jobs for upstate New York that did not materialize, as documented in an Aug. 7 Washington Post article. But New York is not “worse today than ever before.” As of August, New York’s unemployment rate stood at 4.8 percent, a tick below the national average and well below what it was in 1976, when it was above 10 percent for the entire year. The August unemployment rate in the upstate areas of Buffalo (4.7 percent), Rochester (4.5 percent) and Albany (4 percent) are all roughly half what they were during the Great Recession. Trump is referring to Clinton’s comments at a CNN town hall forum in March in which she said she wants to “move away from coal,” but added, “we don’t want to forget those people.” She promised to bring renewable energy jobs to coal country to replace lost coal jobs. Trump also twists the facts when he says Clinton deleted emails after she got a subpoena. It is true that 31,830 emails that Clinton’s lawyers deemed personal were deleted after Clinton received a subpoena from a Republican-controlled House committee investigating the 2012 deaths of four Americans in Benghazi. But there is no evidence that Clinton knew that the emails were deleted after the subpoena was issued. The Clinton campaign directed a contractor managing Clinton’s server to delete the emails in December 2014. But the contractor didn’t get around to deleting the emails until late March 2015, after the subpoena was issued. The Clinton campaign says she only learned about the delay in deletions when the FBI released its report on its investigation in September, and we have found no evidence to contradict that. Trump is referring to President Obama’s threat to use military force if Syrian President Bashar Assad used chemical weapons against his own people. But as was the case in the second debate, it’s unclear to us whether Trump was referring to Obama making the threat or not following through on it. As we noted then, Clinton was in office when Obama made his threat in August 2012, but not when the president defended his failure to back it up in September 2013. However, she did publicly support that decision even though she was no longer in office.